Market your property to thousands of active lot and land buyers today! 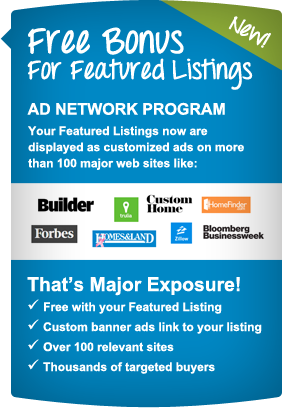 LotNetwork.com is the nations leading web site for lots and land for new homes. List your properties as Featured and Premium listings and connect with our targeted audience of buyers. It's easy and affordable to boost your exposure and sell faster! Already have the listing plans you need? Awesome! Just Log In and go to My LotNetwork to Add New Listings. Need to add new listing plans? Save with Quarterly or Annual Subscriptions! Sign up for a quarterly or annual subscription term and save 10% each quarter or 20% over a year! Contact customerservice@lotnetwork.com to sign up.